Aeroflot, Russia’s flag carrier and largest airline, flies between Moscow and four U.S. cities: New York, Washington, D.C., Los Angeles and Miami. It also has an extensive network of routes in Europe and Asia, making the airline a convenient choice for connecting flights beyond Moscow. Aeroflot Bonus, Aeroflot’s frequent flyer program, has some good redemption options, but also some weak spots. The program does not maintain an award chart for its own flights, but instead offers an online mileage calculator to compute the number of miles you’ll need. That makes it hard to determine if you’re getting the best value for your miles. Another consideration when using Aeroflot bonus is that you have to pay for every segment separately when you fly anywhere beyond Russian Zone 1, which includes Moscow. So you’ll be paying extra for many itineraries with nondirect flights. The program has multiple partners, including SkyTeam members, Russia-issued credit cards, car rental companies, hotels, retailers and financial institutions. It does not, however, have any transfer partners in the United States. When Should You Use Aeroflot Bonus Awards? Aeroflot Bonus is probably most valuable to passengers who frequently visit Moscow or other Russian cities, especially in what the airline calls Zone 1. In general, you’ll get more for your miles in business class rather than economy. For example, a round-trip award flight between the U.S. and Moscow will set you back 70,000 miles in economy and 110,000 miles in business. Major U.S.-based loyalty programs charge 60,000 miles for an economy flight to Moscow and 100,000 to 140,000 miles for business. Aeroflot has some good redemption levels for SkyTeam partners. One of the best features of Aeroflot’s SkyTeam chart is that North and Central America, the Caribbean, Hawaii and Alaska are all in the same zone. So you can fly between any two points in these geographical areas for 30,000 miles in economy and 60,000 miles in business. Another deal flying on SkyTeam partners is a 75,000-mile award between any of the above locations and southern South America. That’s quite a value compared with other major award charts. One-way redemptions cost more than 50 percent of a round-trip ticket, so they’re best avoided. 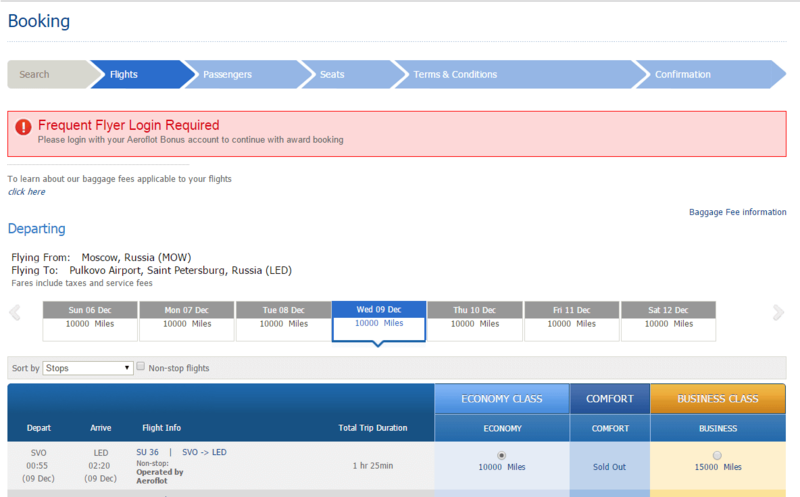 Go to Aeroflot Bonus website and click on “booking,” located in the upper left corner. Enter your flight information and check the “mileage redemption” box. Be sure to also check the “confirm that you have read and agree with rules” box at the bottom of the page before hitting the “find flights” button. At this point, you’ll be asked to log in. You can also log in anytime at the bottom of the page. 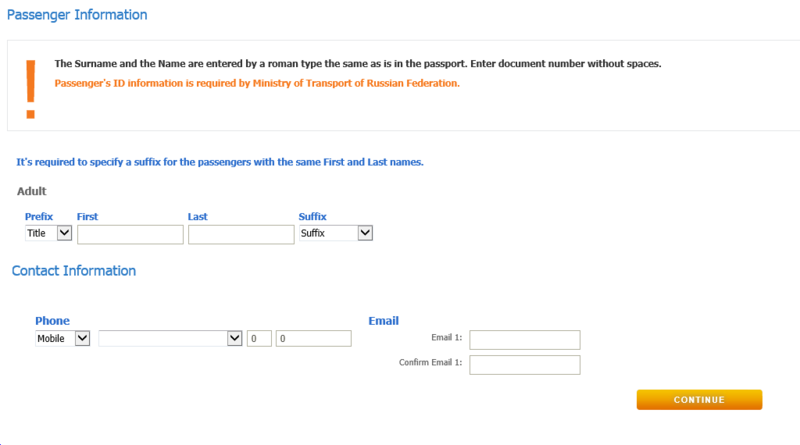 The Aeroflot website can be buggy. If you receive an error message while logging in, try using your Aeroflot Bonus membership number instead of your login information. After logging in, pick your flights and click “continue” at the bottom of the page. After reviewing your itinerary, you’ll be prompted to enter your personal information. Hit “continue” when you’re done. 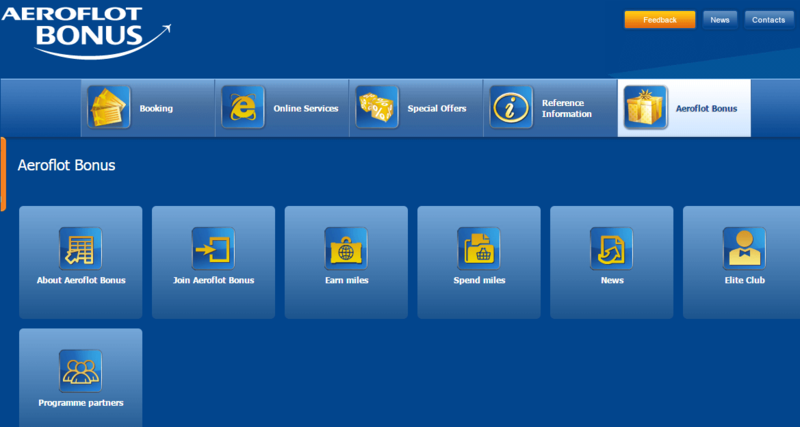 Complete your passport and payment information on the next page and confirm your booking. Aeroflot’s customer service line is open 24 hours a day, seven days a week. Its New York office is open Monday through Friday from 9 a.m. to 5 p.m., Eastern Standard Time. Wait times are typically short, but the agents don’t always know the intricacies of booking SkyTeam partners with Aeroflot Bonus miles. The best approach is to do as much research as you can ahead of time so you can feed the flight numbers and times to the agent when you call. The Delta Airlines website is a good place to search for SkyTeam availability. In addition, the agents in the German Aeroflot office are often more knowledgeable. You don’t have to be in Germany to use their service; just email them at: bonus@aeroflot.de.